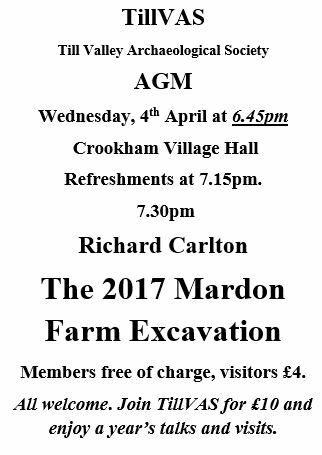 In this issue we have the details of the April events soon to come your way, as well as news from a number of projects and publications from across CBA North-land from four of our local group members. This email was drafted out on Saint Cuthbert’s Day, and like him we criss-cross the region in what news we have to share. 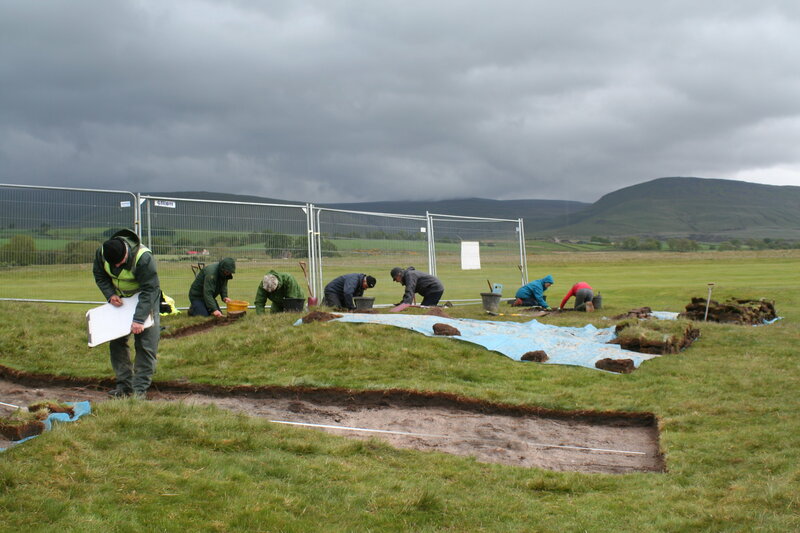 From Cumbria we have a summary of the Appleby Archaeology Group’s investigations across their local golf course (including rare Bronze Age evidence) whilst from Northumberland we have an update on the Border Roads Project of Coquetdale Community Archaeology. Members may recall the fieldwork and plans for both of these projects, here we now report upon their successful completion and publication. 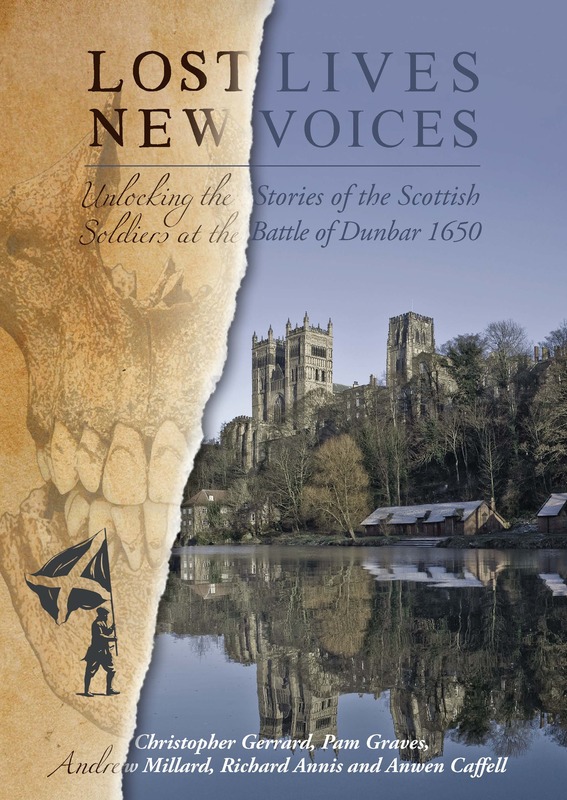 From two other of our group members, the Architectural and Archaeological Society of Durham and Northumberland once again and the Northumberland Archaeological Group we have notices of their own recent publications. The contents of both volumes also listed for you here as well. Please feel free to circulate our news around your own contacts and groups. We hope that our next email to you will be out mid-month, next month, reporting further news from across the region. ‘Between 2009 and 2013 the Appleby Archaeology Group carried out a number of small-scale surveys and excavations across a range of monuments located at Brackenber Moor adjacent to the Appleby Golf Course. Despite the hazards of flying golf balls and more, the group carried out both geophysical surveys and excavations of a range of features in the area. Some of these features were freshly identified by the group during the survey carried out in 2009,whilst others had been known about – albeit misidentified – in the archaeological literature for some time. The highlight of the excavation aimed to record the details of one of these earlier recorded sites – a roughly circular flat area, partly surrounded by a pair of crescent-shaped ditches, was thought to be one of the chain of Roman signal stations that operated between the Stainmore Pass and the larger Roman roads to the west and east. The large post-holes and structure of a signal station were expected. However our excavations revealed this to be a different type of monument altogether and one much, by thousands of years, older. The feature was revealed to be an enclosed cremation cemetery – a funerary monument typical of the Early Bronze Age. Our excavations across the centre of monument revealed a number of pits, some containing human cremated remains and prehistoric pottery dating to the Bronze Age. Samples were taken at the time of excavation and only now, following the post-excavation process, can a fuller story of the monument be told. This appears to have been a multi-phase monument and, surprisingly, extending into Middle Bronze Age times from the radiocarbon dating of samples of human bone. These yielded a date of 1740 to 1630 BC when sampled at the SUERC lab. This was quite surprising when nationally evidence of funerary activity starts to disappear. Other sites were sampled, but perhaps none with so spectacular results as the cremation cemetery. These included a scheduled cairn of likely Bronze Age date, which revealed evidence for earlier Mesolithic and Neolithic activity in the vicinity. Our fieldwork was carried out by the group in conjunction with the North Pennines AONB Altogether Archaeology Project with support from Wardell Armstrong Archaeology. We are grateful to them for their support and the Cumberland and Westmorland Antiquarian and Archaeological Society for funding the post-excavation work, without which the Transactions article could not have been published’. [The full excavation report can be read in the most recent Transactions of the Cumberland and Westmorland Antiquarian and Archaeological Society (3rd series volume 18), Ed.]. ‘Based in North Northumberland, Coquetdale Community Archaeology (CCA) was founded in 2008 at the conclusion of a community archaeology project funded by the Northumberland National Park Authority. One of its first major projects as an independent group was the identification and excavation of a thirteenth-century fulling mill on the River Coquet at Barrowburn, about five miles upstream from Alwinton. Built by the Newminster monks from Morpeth, the project uncovered one of the best-preserved medieval wheel pits in the country, with a wheel configuration otherwise known only from the sixteenth century. The project was a success, with large numbers of volunteers, many visitors, and two papers in Archaeologia Aeliana. But rather than rest on their laurels, CCA decided to follow this up with a broader initiative, one that would include not just excavation, but also walking, photography, surveying, research, design and writing. The Border Roads project, reported in earlier CBA newsletters and funded by the HLF and the National Park, started in 2014 and ended in December. 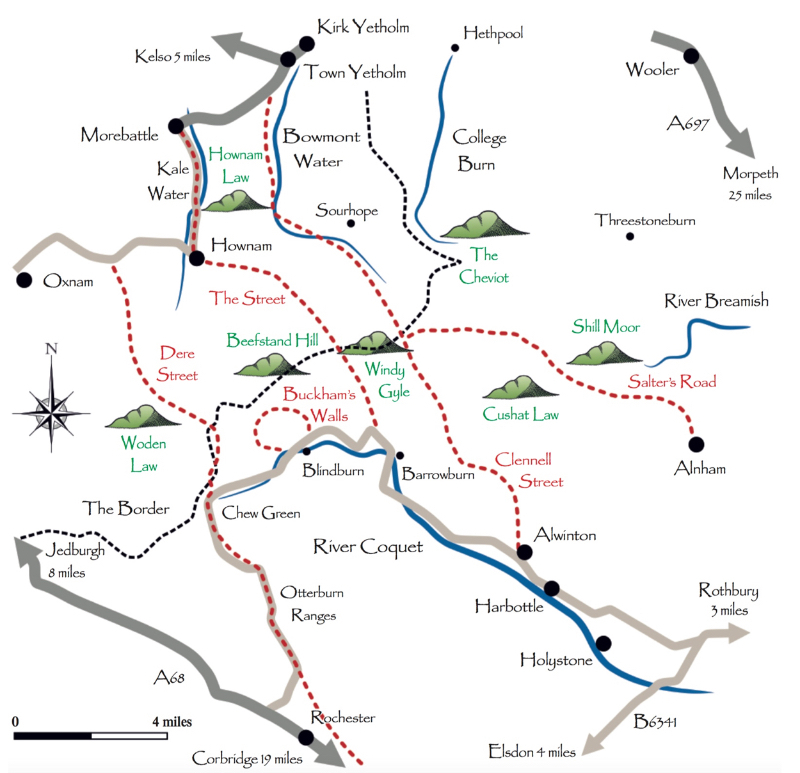 Its focus was on the rich set of archaeology found along the Border Roads – the ancient routes through the Cheviots such as Dere Street, Clennell Street and The Street that connect what are now England and Scotland. The purpose of the project was to research and document this archaeology, but above all to communicate its presence to as wide an audience as possible. It’s very clear that many people who visit the hills are unaware of the history they are moving through – walking past ridges, shapes and ruins in the landscape without any real idea of what they are missing. So CCA teams delved into archives, travelled the roads and planned walks and tours. 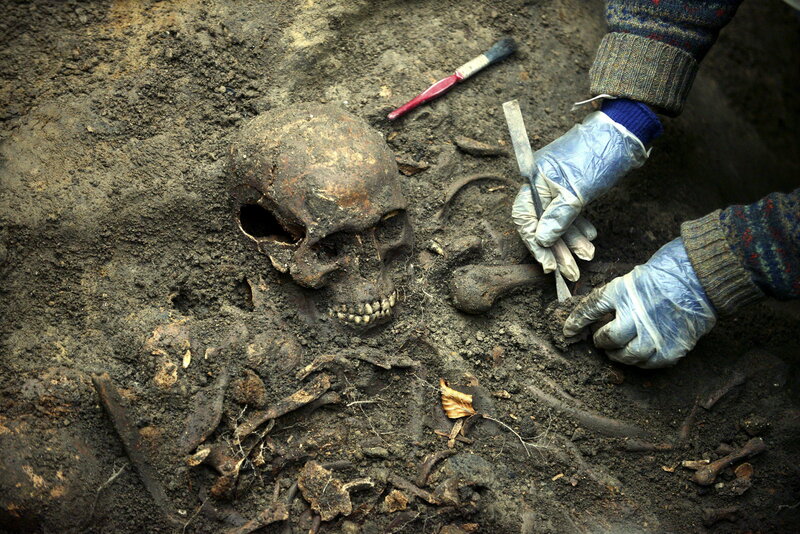 There were excavations too – four different sites in the five summers of the project, often two in one year. There were four seasons of work at a site by the Hepden Burn, where an unprepossessing rectangular earthwork was found to conceal not only a seventeenth-century agricultural building but, under that, a carefully-laid paved medieval floor. This site has been the subject of a recent excavation report in Medieval Archaeology (Nolan and Jones, 2018 volume 62/2 in the Fieldwork Highlights for 2017). Excavation has now started on a scheduled site at the deserted settlement of Linbrig, also by the Coquet. Although the Border Roads project has finished, this work will continue until 2020, with the objective of looking at several structures on the site, including what are probably farmhouses and a corn drying kiln. With its focus on communication, the project has produced a website (www.border-roads.org/) and two books. 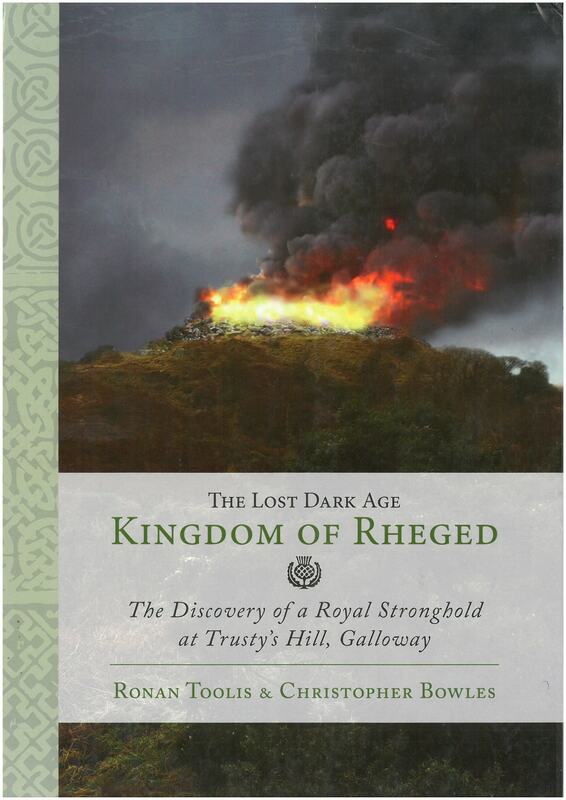 The first of these – The Old Tracks through the Cheviots – weighs in at over 200 pages. Its early chapters cover the history of the hills, the records left about them and the types of structures found there. Then each route is examined in turn, with details of the archaeology along them. 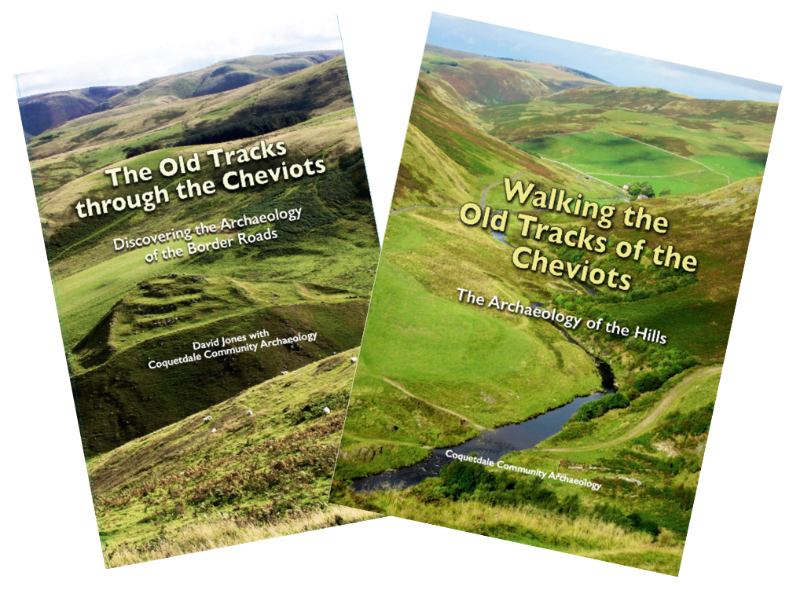 The second book – Walking the Old Tracks of the Cheviots – is a portable ring-bound guide to nine carefully-documented walks on either side of the border. Again in full colour and designed to be carried out on the hills, it provides detailed route instructions and precise map references, as well descriptions and histories of what people might otherwise miss. Both books are available from book shops, on-line from the usual suspects, or direct from the publisher, Northern Heritage. With all the work that’s gone into it, the involvement of over 90 volunteers and the outputs described, it’s clear the project has been a success. Other people think so too. In November CCA won a competition organised by National Parks UK for their Volunteer Project of the Year. Open to all volunteer projects across the country, and for any kind of work in a National Park, the award brought not only a trophy, but a bursary of £1000 to help CCA continue its work’. 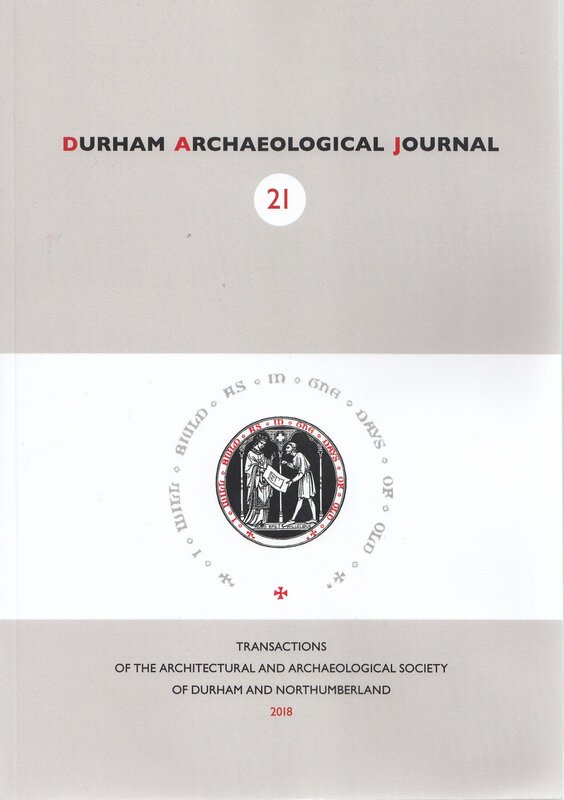 Also fairly hot off the press our group members the Architectural and Archaeological Society of Durham and Northumberland – the ‘Arch & Arch’ – who reported their 2018 activities in our last issue, have published the latest volume of their Durham Archaeological Journal. [Members who attended our various Hexham meetings in 2013 will recall the archaeological work required in advance of the development of the Abbey Centre. 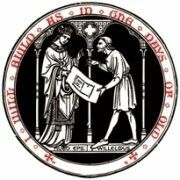 It is those pieces of work that are reported in the Hexham Abbey article of this issue, Ed.]. ‘The Northumberland Archaeological Group (NAG) announces the recent publication of volume 23 of its journal Northern Archaeology. This volume is dedicated to the memory of Colin Burgess, the founder of NAG, who died in 2014. Contents relate to the archaeological life of Colin and the work he directed in Portugal; it includes colour pictures, maps, diagrams and plans, is printed on high quality cartridge paper and with a paper binding. Copies may be purchased from the Editor: Gordon Moir, 7 Albury Road, Newcastle upon Tyne, NE2 3PE; gordon.moir@blueyonder.co.uk ; 0191 284 5062. The prices are: in the UK £17 which includes postage and packing; within Europe (which includes Eire) £21 and for the rest of the world £25. These costs are for both Institutions and individuals. Cheques should be made payable to “Northumberland Archaeological Group”. For details of bank transfer contact the Editor. The Bibliography is an augmented and extended version of those published previously. 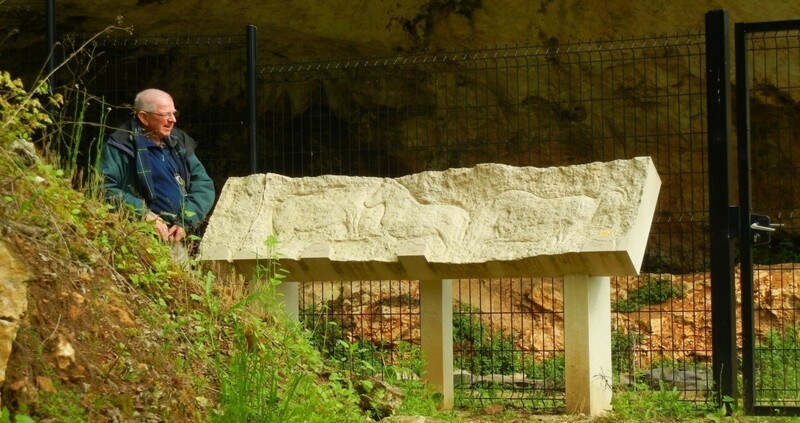 Colin in France, April 2013, on his last Archaeotrekker’s trip, at La Chaire à Calvin, near Angouleme. Our last email noted the changes made for the Local Societies and Groups website page for the Northern Archaeological Group, rather this should have been the Northern Archaeology Group. 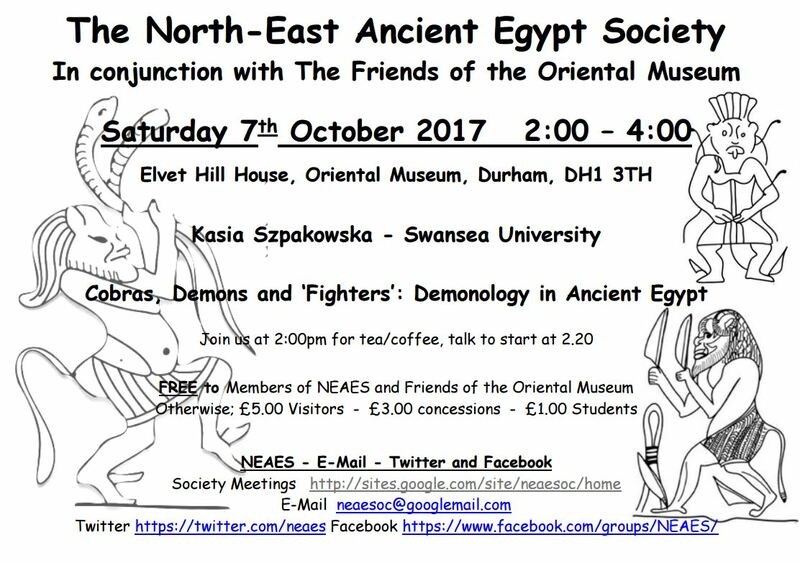 In case of any other alterations to this, or any other website page, please let us know by emailing cbanorth@archaeologyuk.org. 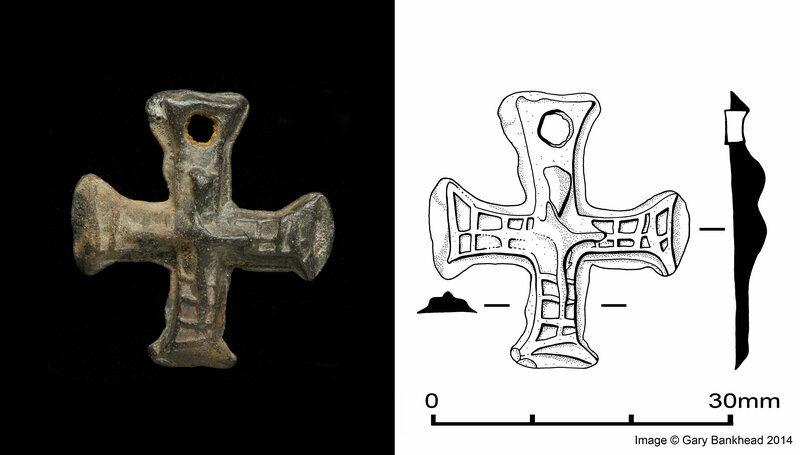 This entry was posted in E Newsletter and tagged AASDN, Appleby, Archaeology, book, Bronze Age, Coquetdale, Cumbria, Durham, excavation, fieldwork, NAG, Northumberland, survey on April 1, 2019 by cbanorth. CBA North and the region are full of archaeological busy. We are in the process of setting up things for 2018, but hope to send out summaries of things that have happened in 2017 later this month as well. If you would like to contribute something, such as to publicise your own group’s events of this year or to come, in our emails to our members and/or for our Events website events, please feel free to send us those details to cbanorth@archaeologyuk.org. Events continue across the CBA North region this month. Here is a quick list of those archaeological ones that we know of still to come. Details of the groups, venues and times can be found through our Local Societies and Groups page in case they are unfamiliar to you. 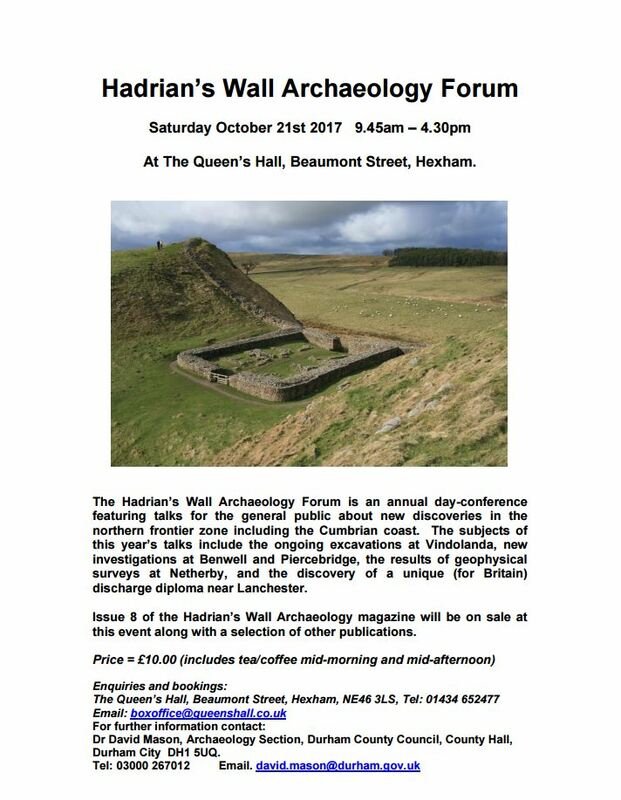 Hadrian’s Wall: an archaeological site or an artistic muse? 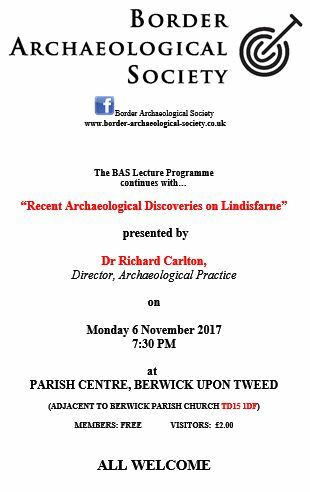 Here is the poster and some details of one of those events kindly provided by Josie McChrystal, Secretary of the Border Archaeological Society. This Christmas miscellany explores Hadrian’s Wall through poetry, films, cartoons, music and literature, discovering how each generation sees the Wall in their own way. 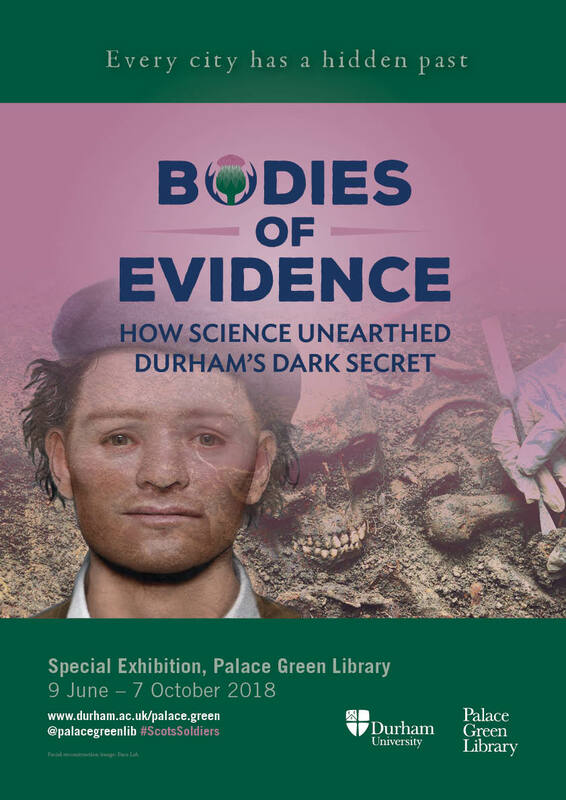 Using archives and her personal involvement in the arts first as Director of Archaeological Museums for Newcastle University and then as Director of its Centre for Interdisciplinary Artefact Studies, Lindsay Allason-Jones will introduce you to some familiar, some unusual and some distinctly odd material, and reveal aspects of the Wall which may surprise you. 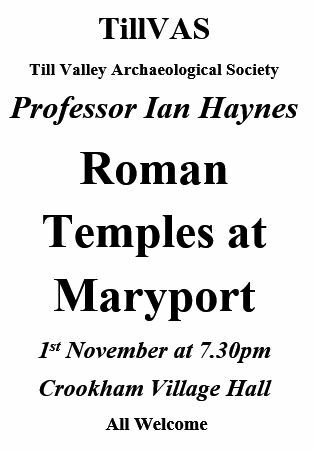 The lecture will take place at Berwick Parish (Holy Trinity) Church Hall, off The Parade, Berwick TD15 1DF, commencing at 7.30pm. It is free for BAS members but there is a charge of £2 for visitors. The latest copy of The Bulletin will be available on the evening, together with the opportunity to renew your BAS membership. 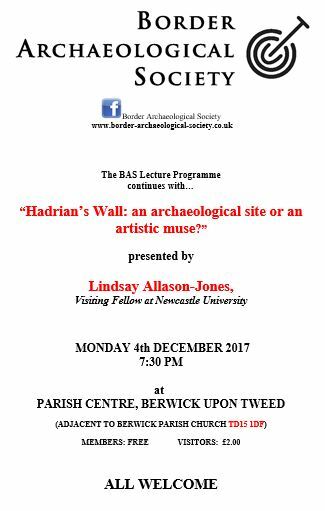 This entry was posted in E Newsletter and tagged Appleby, BAS, Hadrian's Wall, lecture, NAG, TillVAS on December 3, 2017 by cbanorth. 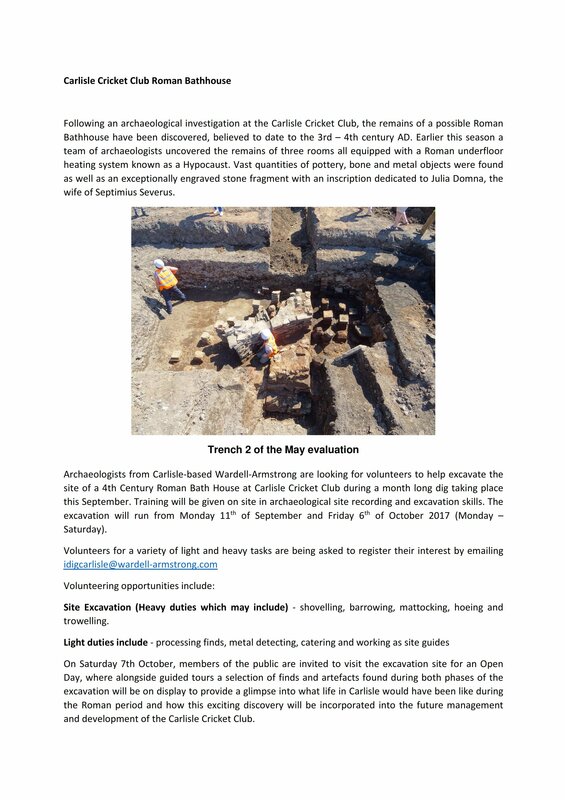 Today our email combines our alphabet of archaeology with the letters V and W with a regular update of events across CBA North-land. 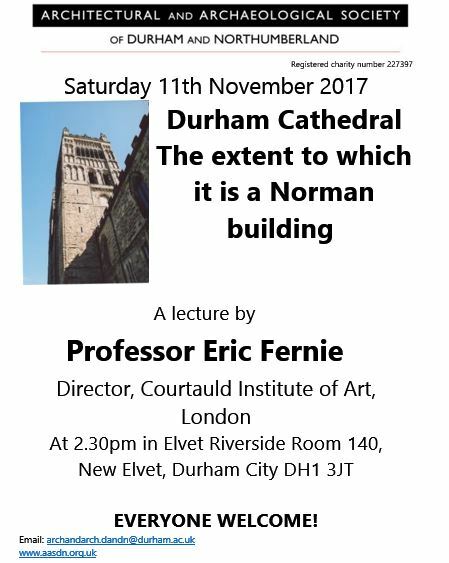 This month started with the Belief in the North East conference at Durham University today. 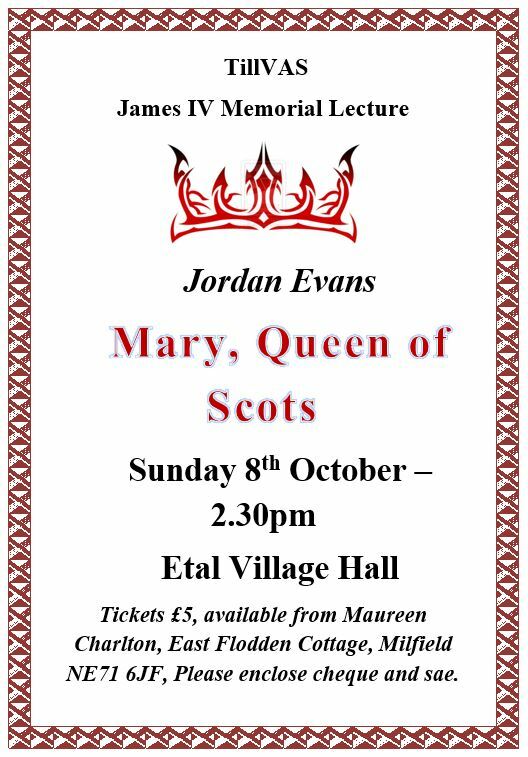 Hot on the heels of the conference are three further events for the Bronze Age, Ancient Egyptians and Mary, Queen of Scots, in this week alone. 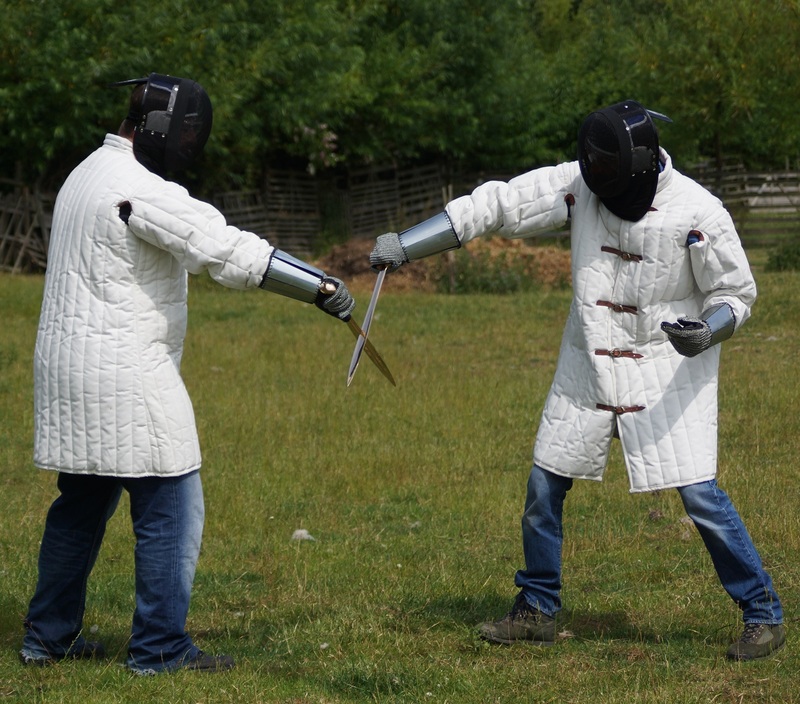 Vindolanda, violence and war all feature in events this and next month; there is plenty for you to take your pick with (as well as more to come this week)! Here is a list of events that we know of, so far, this month. Events, however, continue to be added to our website page – please let us know anything that we are missing! Our region has played host to a number of national conferences this year which we hope to report to all members. 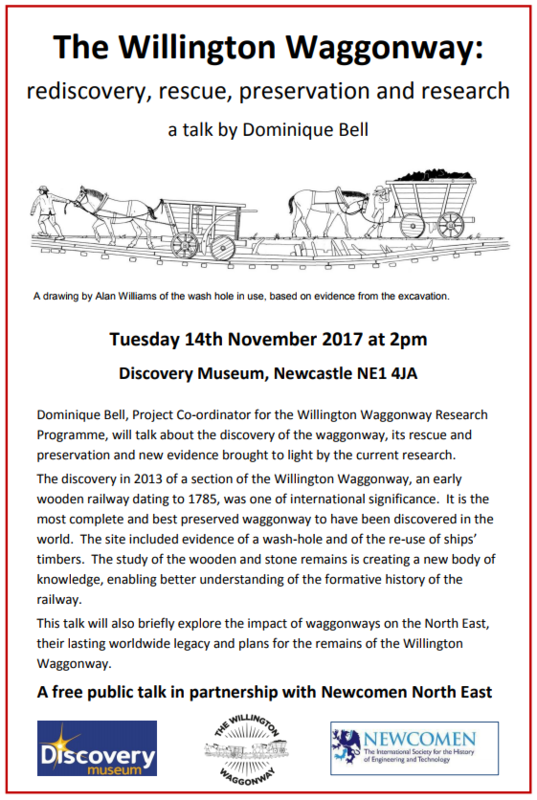 Paul Bidwell, formerly Head of Archaeology, Tyne and Wear Archives and Museums, who retired in 2013, has provided this review of one of those events. Paul writes “The Study Group for Roman Pottery (SGRP) was established in 1971 and now has a membership of 170 which consists mainly of people working for archaeological contracting organisations and museums, together with a healthy representation of independent researchers. 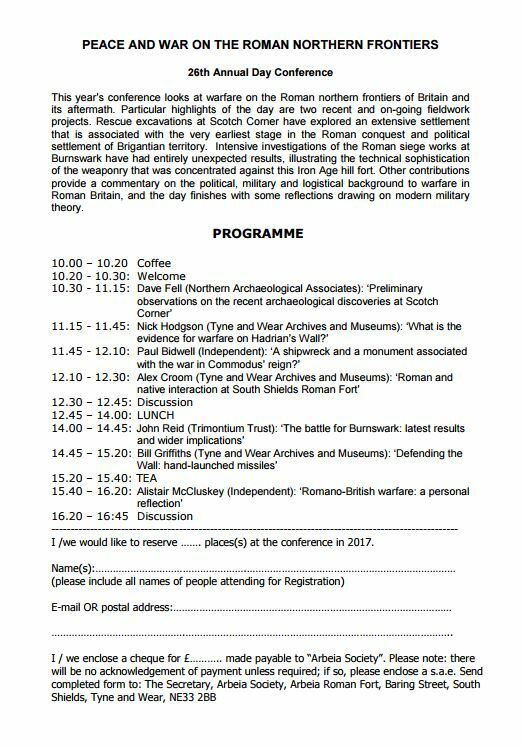 This year its annual conference met at the Tullie House Museum in Carlisle on the weekend of 14–17 July. 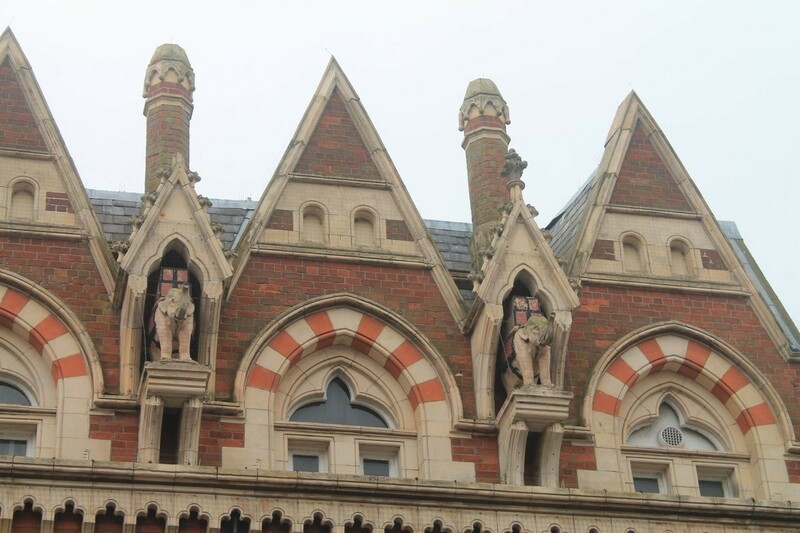 Although there was a wide range of papers, the focus was on recent fieldwork and research in northern England. 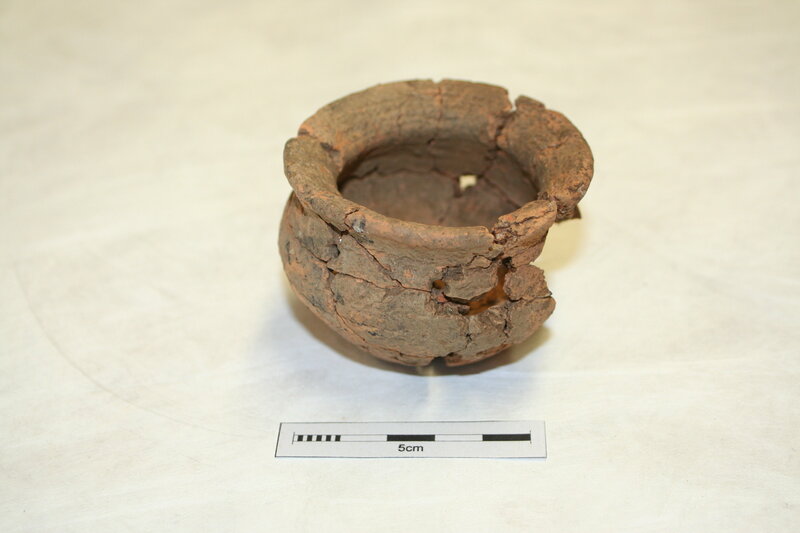 Pottery and burial practices in the Roman cemetery recently investigated at Botchergate, Carlisle were described by Megan Stoakley. Presentations on the material from the excavations in the extra-mural settlements at Brougham were given by Ruth Leary and Gwladys Monteil. One particularly interesting aspect of the pottery at Maryport is the presence of coarse wares imported from Mucking on the Thames estuary in Essex. 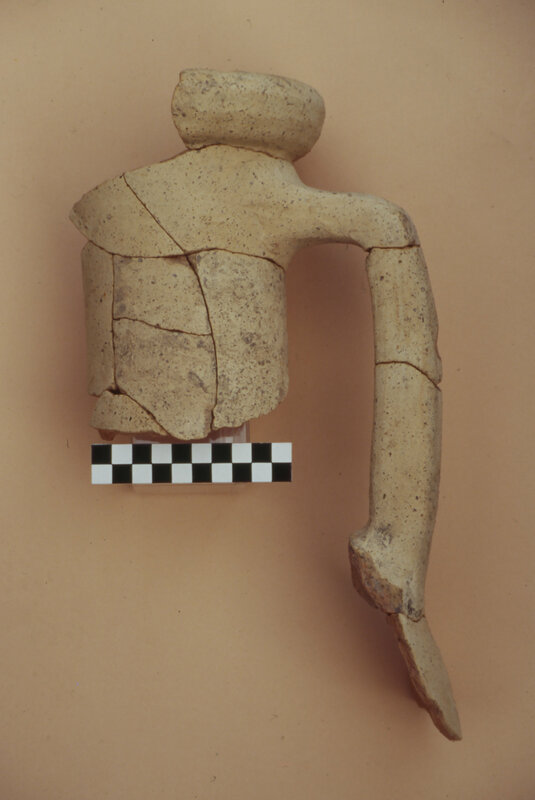 It is a demonstration of the extent to which Roman military and urban sites in northern England had become dependent on the import of pottery from the Midlands and southern England in the mid-Roman period. 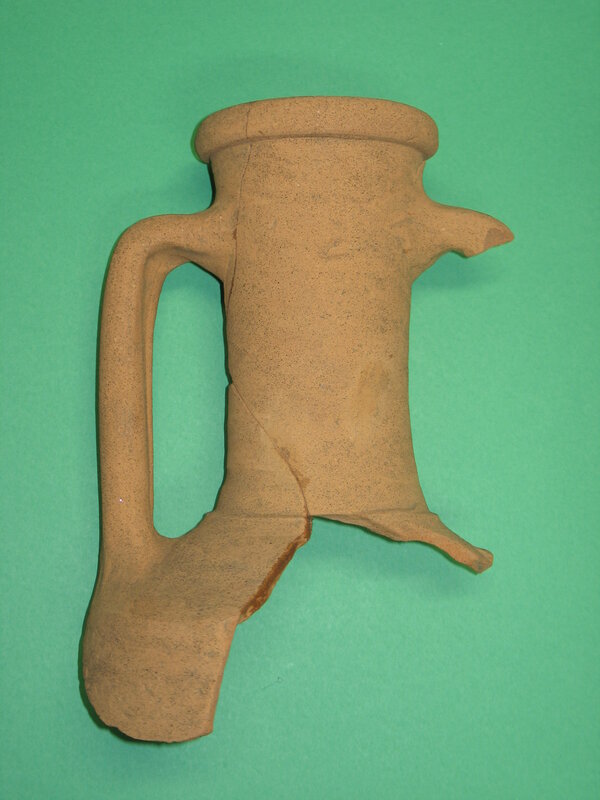 Some of the implications of this change from local production in the earlier Roman period were explored by Jerry Evans in his account of pottery from recent excavations at Vindolanda. In the third century imports from continental Europe were in decline but were still of some importance. Most of the wine supplied to the Roman army in the North seems to have been supplied from southern Gaul and the Rhineland in barrels rather than amphorae, but, as Paul Bidwell explained, during the mid- to late third century imports from the famous wine-producing area of Campania in central Italy arrived in large quantities. They were contained in amphorae of distinctive forms and fabrics (see the photographs below). The Pottery Group meetings always include a short field trip, and this year an excursion was made to Vindolanda and the stretch of the Wall between Gilsland and Birdoswald. A highlight was the firing of a replica Roman pottery kiln at Vindolanda which was organised by Graham Taylor, a professional potter. Other very interesting contributions dealt with pottery beyond our region, but mention made of some that described work at Scotch Corner and Catterick on the border with North Yorkshire. Excavations connected with the completion of the A1(M) have been on a huge scale and are likely to transform our understanding of Roman settlement in north-east England when the post-excavation analyses have been completed”. Here is a selection of some of the other events happening in October and November across the CBA North region. If you want to get involved with these, with the exception of the open day next weekend, then you will need to book up. Contact details can be found in each of the posters. 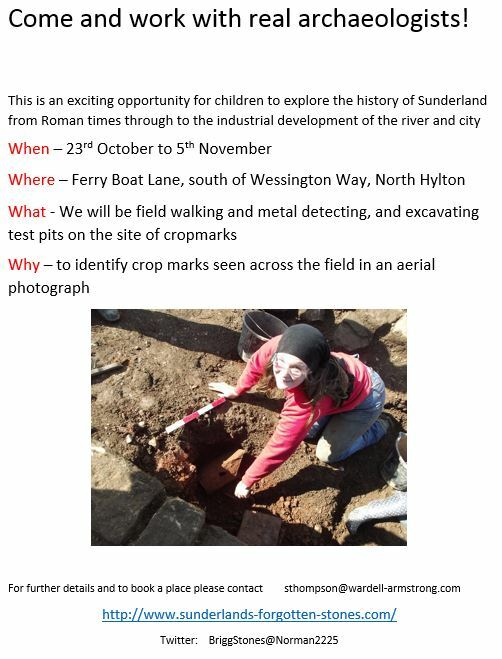 For those that haven’t satisfied their fieldwork needs during the summer yet, Wardell Armstrong have sent us details of a further project examining whether a series of large stones in the Wear are the remains of a Roman structure. 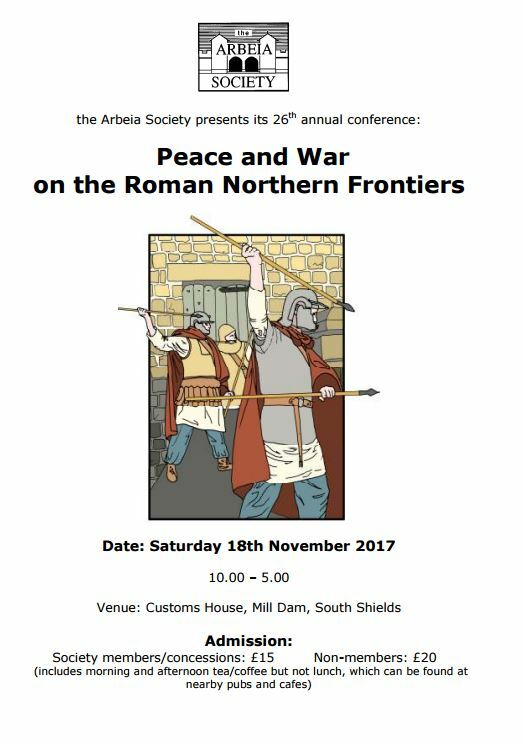 This entry was posted in E Newsletter and tagged AASDN, Appleby, Arbeia, BAS, Carlisle, CCA, conference, fieldwork, Hadrian's Wall, lecture, NAG, NEAES, Open Day, Roman, SANT, TAS, TillVAS on October 1, 2017 by cbanorth.